Our office in Collingwood has been abuzz with the exciting unveiling of the tallest mural in the Southern Hemisphere. 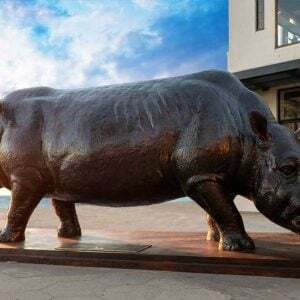 Located just down the road from Bluethumb HQ, we’ve been curiously tracking the progress over the last few weeks, particularly as it’s on the way to one of our favourite lunch spots! 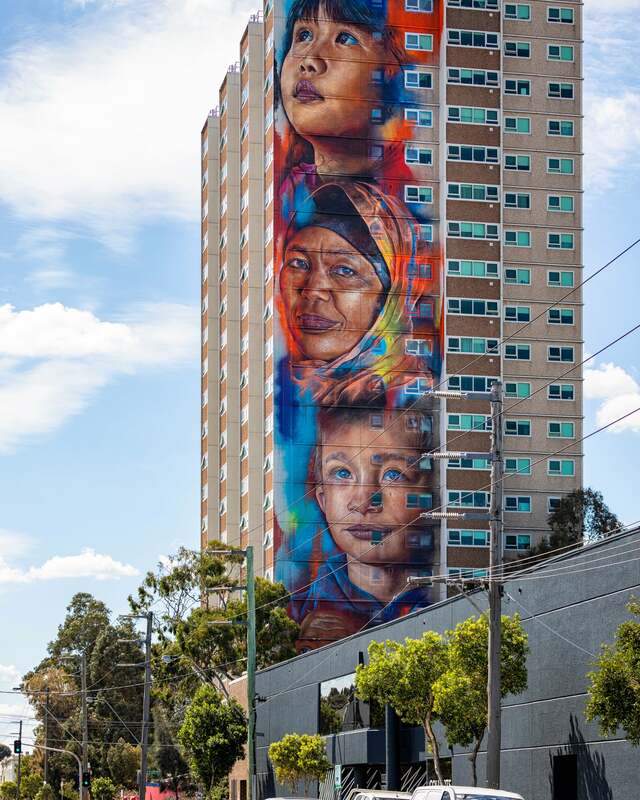 The towering artwork, which uses a 20 storey building as its canvas, consists of mammoth portraits by world renowned street artist Adnate. 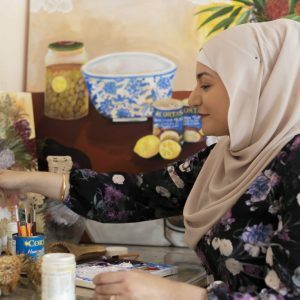 Not only does it add a touch of beauty to an otherwise unremarkable community housing building, it also highlights the diversity of the local community by using four of the residents as subjects. Adnate’s towering mural on Wellington St in Collingwood is 20 storeys high. Photo by Nicole Reed Photography. 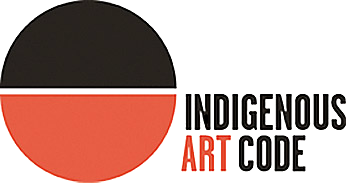 This isn’t the only large scale project aiming to improve the community Adnate is involved with. He’s one of the artists painting murals on the side of country Victorian silos as part of the Silo Art Trail. 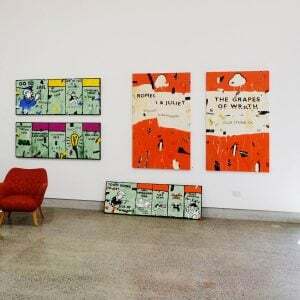 The series of large murals brings urban art to regional towns, giving them a much needed boost in tourism and a taste of Melbourne’s world famous street art culture. The Silo Art Trail is run by street art collective Juddy Roller, a Melbourne-based group featuring some of the top street artists in Australia. Bluethumb’s own Lucy Lucy is a member of the collective and creates murals celebrating fashion and the female form. Lucy Lucy’s murals can be found all over Melbourne. Photo by Nella Pixels. 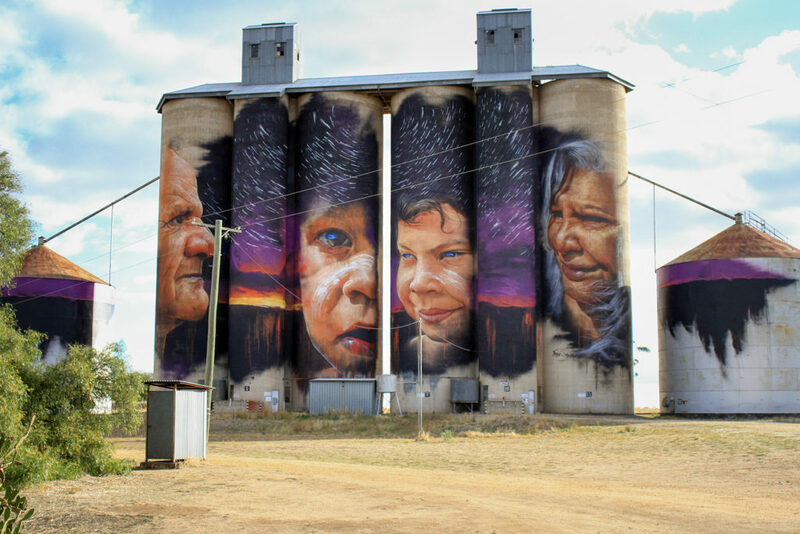 Located in the wheat belt of Victoria, the Silo Art Trail is a tour of small towns to the north west of Victoria. 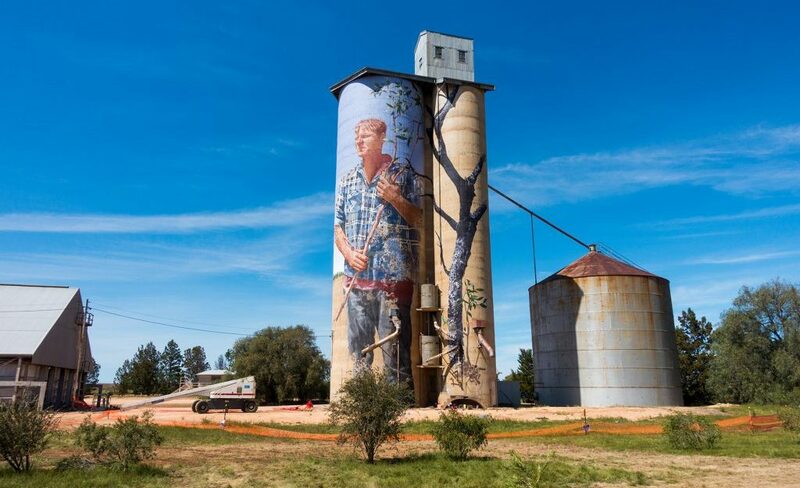 To see all the silo art on offer, simply drive from Rupanyup to Patchewollock, with several stops in between. The route is doable in a day, but to make the most of it we’d recommend an overnight stay as the start of the trail is 3.5 hours from Melbourne. Being in one of the driest parts of the state, the bright murals turn the plain industrial silos into much-welcomed pops of colour that contrast with the dusty landscape. Adnate’s mural depicting the local Aboriginal community at Sheep Hills. Photo by Juddy Roller. 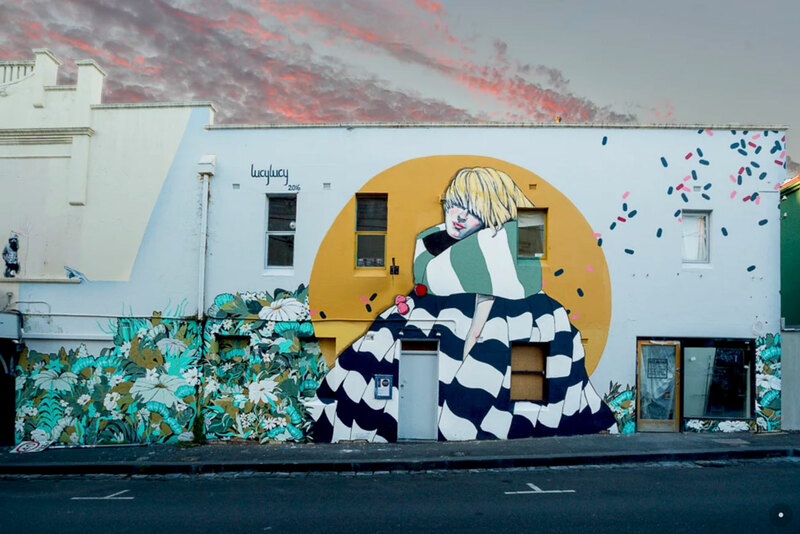 With such a vibrant culture of public art in this country, it’s no surprise that many Bluethumb artists, including international bestseller Loui Jover, share their art on the streets. 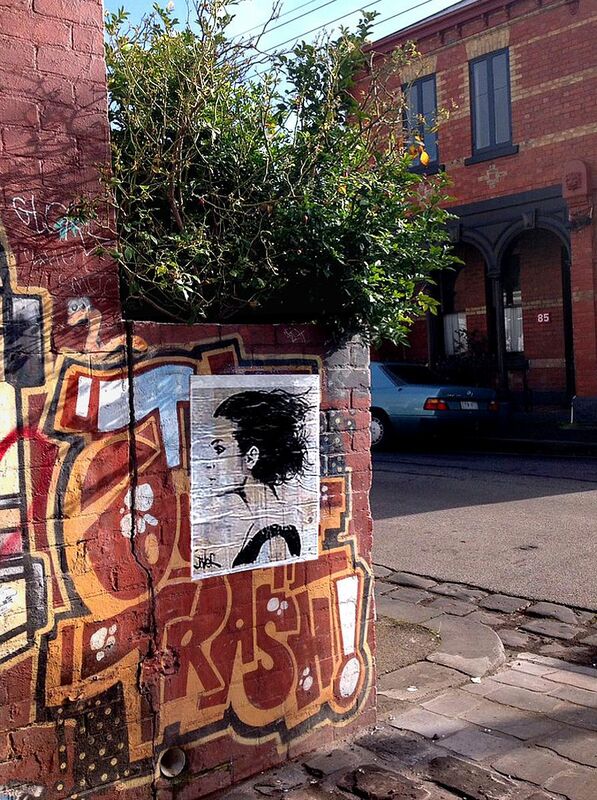 Loui Jover’s paste ups can be found all over Melbourne. Photo by Loui Jover. Can’t get enough street art and silo art? 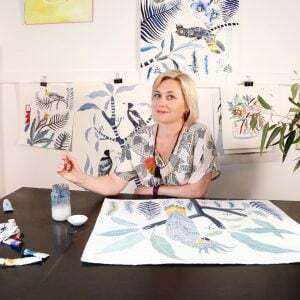 Click here to browse our curation of artists on Bluethumb who have found inspiration on city streets, and perhaps now on country silos! 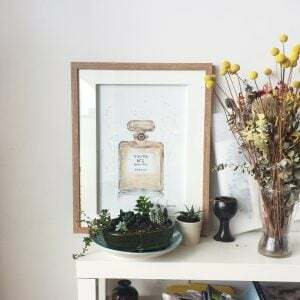 High quality print on 200gsm White Artpaper, rolled up in a tube.